It can be difficult to determine how often you should change your guitar strings. It may be tedious, but frequently changing your strings will ensure that your guitar plays and sounds optimal. As a rule of thumb, you should expect to change your guitar strings every 100 hours of practice, or 3 months. However, this time frame can vary drastically from person to person. There are plenty of different factors that determine how long your guitar strings will last. 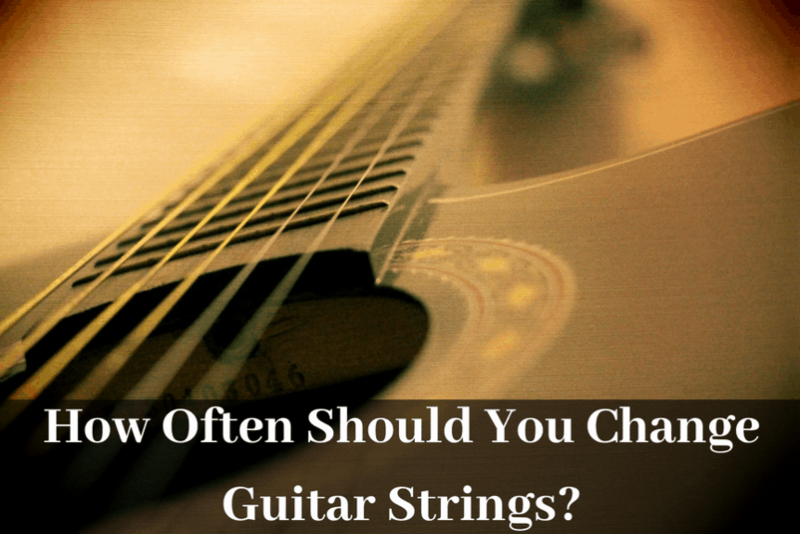 So in this article, you’ll learn how often you should expect to change your strings and how to tell when it’s time to change them. Why is it Important to Change Your Guitar Strings? How Long Do Guitar Strings Last? When Should You Change Your Guitar Strings? What Kind of Guitar Strings Should You Get? Guitar strings naturally degrade in quality over time with consistent use. As your strings wear, they start to sound worse, go out of tune more easily and are more inclined to break. It also just makes your guitar feel grimy to the touch and unpleasant to maneuver around. In general, guitar strings don’t last very long and are meant to be changed regularly. On average, guitar strings will typically last up to 3 months before it’s time for a change. However, this will obviously vary from person to person. There are several different factors that determine how long your guitar strings will last. It may sound obvious, but how often you play has the most impact on how long your strings last. If you’re someone who plays your guitar for 2-3 hours every single day, then you’ll likely need to change your strings every couple of weeks. For those who only pick up their instrument once every week or so, then you will probably be fine for 6 months without a change. So, instead of measuring how long guitar strings last by the actual amount of time passed, it makes more sense to measure based on how many total hours played. This is why I usually say you should change your strings every 3 months of use, or 100 hours of actual practice time. The amount of time that guitar strings last will naturally vary from person to person. Think about it. What are the main reasons why guitar strings wear over time? When you play the guitar, the oils and sweat on from your fingers accumulate on the strings and make the metal corrode. If you’re someone who naturally has oily fingers or sweats a lot, then you’ll wear out guitar strings much faster. Your playing style and habits also can also have a huge impact on how long your strings last. If you’re a player that incorporates a lot of bends, then there’s a good chance that you’ll break your strings at some point. If you’re someone who picks and strums with a lot of power, you’ll scrape away at strings and gradually start to make kinks. This makes your strings wear away faster and potentially even cause them to break. Ideally, you should be changing your guitar strings regularly after 100 hours practice. However, realistically speaking, this is hardly ever the case with most players. Most of the time, we’re just too lazy, and can’t be bothered to change our strings. It’s tedious, time-consuming, and for some, expensive. As a result, many guitarists only change their strings when they absolutely have to. Here are the most common signals that indicate when it’s time to change your strings. Okay, this is an obvious one. When you break a string, you really have no choice but to restring your guitar. Over time your guitar strings wills start to corrode due to the accumulated oil and dirt, making them more susceptible to breaking. Also, if you’re a player who incorporates a lot of bends, you can bet you’ll break your high E or B string at some point. When I break a string, I usually see it as an opportunity to completely restring my guitar rather than only replacing the broken string. I figure it makes the most sense since you’re busting open a new pack of strings anyways, and will already have all of your tools on hand. In addition, if some strings on your guitar are old and rusty, while others are brand new, it can make the guitar feel inconsistent to play. If you find that your guitar doesn’t hold its tuning as well as it used to, then it might be time for a string change. Like I’ve mentioned, as guitar strings are broken in, they start to stretch out. This can result in tuning instability at the nut. If your guitar constantly falls out of tune, always start by changing the strings to see if it fixes the problem. If that doesn’t work, then you’ll have to dig a bit deeper to diagnose the issue. Usually, it’s a problem with the nut. Over time, as oils, dirt, and grime build up on your strings, they start to lose their shine and luster. If your guitar strings are a dull, dark grey color then it’s a strong sign that they are on their last legs. When you notice your guitar strings are discolored, it’s a good sign that it’s time to change because breakage is an inevitability. Old, rusty strings not only affects the color but also the feel of your guitar. When you’re maneuvering around the neck, it’s very obvious when your guitar strings are old and dirty. The strings won’t feel nearly as smooth, making it difficult to properly slide around the neck. On top of that, it just feels gross. You literally feel the dirt and grime under your fingers while you’re playing. And when you’re finished playing, your fingers will feel clammy and in need of a good washing. When you first put on a brand new pack of strings, the tone will sound the brightest and clearest it ever will. 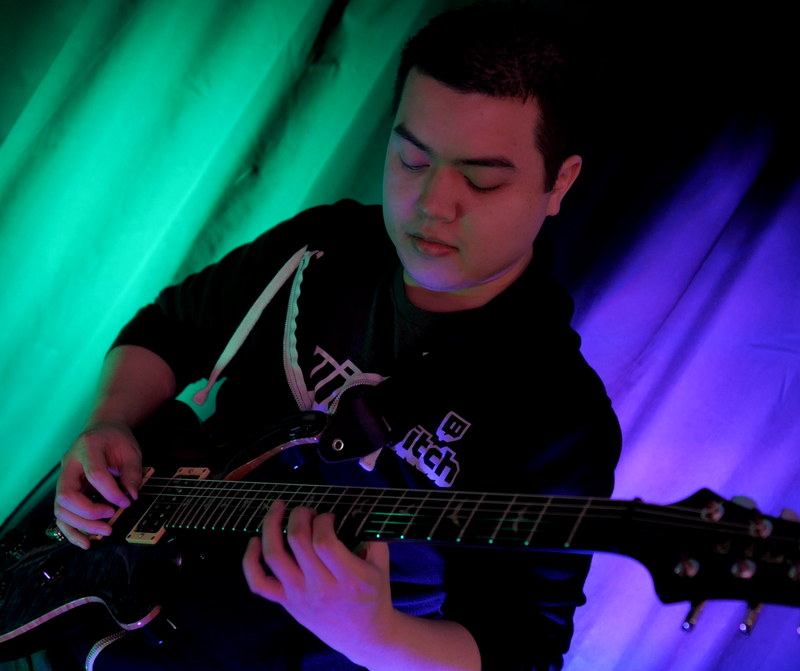 Over time as the strings age, the sound will gradually start to dull, leaving you with a dark tone that lacks clarity. If you’re playing and notice that your guitar tone just doesn’t have that satisfying punch that once did, then it’s a sign that it’s time for a string change. Nothing feels nicer than playing on a fresh pack of strings. Your guitar just sings. It sounds better, feels better, sustains better, and is ultimately a much better playing experience. Some people just enjoy playing with fresh strings. And when you enjoy playing, you’ll be more inspired practice and put in your best work. Earlier I mentioned that you should be changing your strings every 3-6 months depending on how much you play. But that’s not a hard rule. Who really even keeps track of the time? I don’t remember exactly how long it’s been since my last string change, and you probably don’t either. So if you simply can’t tell when it’s time to change your guitar strings, just do it anyways. It’ll never hurt to change your guitar strings; even if it’s only after a couple weeks. If you hate regularly changing your guitar strings, then there are some simple things you can do to preserve them as long as possible. First, you want to make sure that you always wash your hands before you play your guitar. This will make sure your fingers are clean of sweat, excess oil and grime. 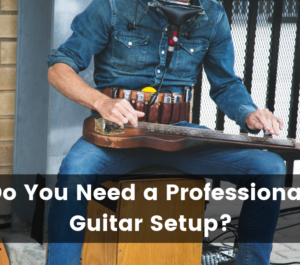 Also, you want to make sure you clean your guitar strings after a jam session. The last thing you want is to let the oils from your fingers sit on the guitar for an extended period of time after you’re done. This is what causes the strings to corrode and rust over time. I personally use this neat little guitar string cleaner from Amazon. The cool thing is that it helps clean underneath the strings as well, which is normally hard to access. I always give my guitars a quick rub down whenever I’m finished with a session. Guitar strings are not all created equal. There are hundreds of different options that vary in thickness and material, which ultimately affects how long they will last. If you’re someone who doesn’t like changing your strings very often, then I would highly suggest getting a set of Elixir strings. These strings are treated with a polymer coating material that protects the strings against the oils from your fingers. This makes them last 2-3 times longer than regular guitar strings. The coating does slightly affect the tone, but not by too much. They’re also a lot more expensive, costing about 3 times more than a regular pack of strings. I personally think they’re well worth it. I’ve been using Elixirs for years now and I’ve been really happy with them. You find them here on Amazon. On the other hand, if you don’t mind changing your strings frequently then you can’t go wrong with the Ernie Ball Regular guitar strings. They’re basically in the industry standard when it comes to guitar strings. They’re clear, punchy, and inexpensive. If you like the feel of a fresh set of strings, then you should go with regular nickel strings. 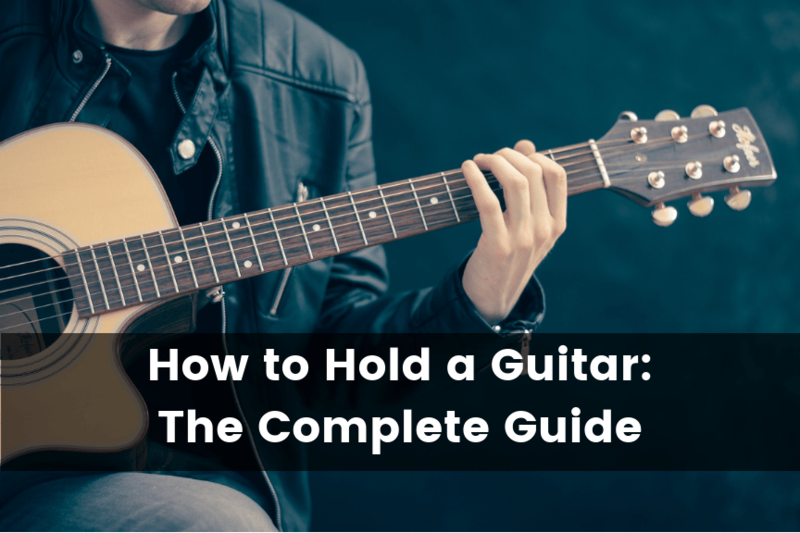 They’re the cheapest type of guitar string, so you can stock up on a bunch of them. Check them out on Amazon. Frequently changing your guitar strings is essential, but can be quite the chore for us lazy musicians. However, here are helpful tools that can make the process a little less of a pain. Planet Waves Pro String Winder – If you’re still turning the tuning pegs by hand when you restring your guitar, then you’re doing something wrong. This string winder makes it infinitely easier to turn the pegs. It also has a wire cutter built right in, allowing you to cut the string ends when you’re done. It’s basically all you need to restring your guitar. Ernie Ball Power Peg Pro – This is completely battery powered peg winder for your guitar. A little extravagant and unnecessary, but still cool to have. It makes it just a bit easier to restring your guitar, saving some you some time. It’s pretty fun to use too. Dunlop Neck Cradle – Very useful tool for any type of guitar maintenance. This guitar cradle lets you elevate the neck of your guitar while it’s on a table, making it easier to work. 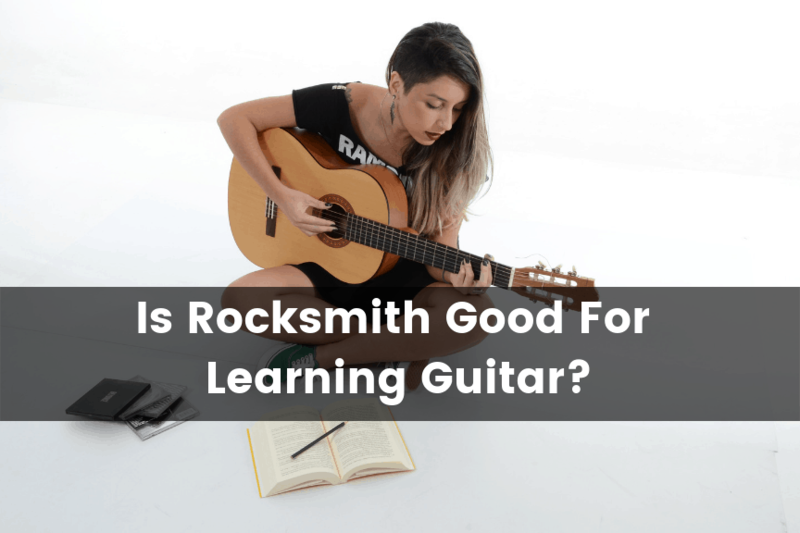 If your guitar lays flat on the table, it’s much more difficult to turn the tuning pegs, and can even result in unwanted scratches to your finish. Music Nomad Instrument Work Mat – Speaking of scratching the finish of your guitar, you should never do any work on your instrument on a bare table. You’re just asking for scuff marks. This work mat is great because it’s padded and long enough to rest your guitar on. 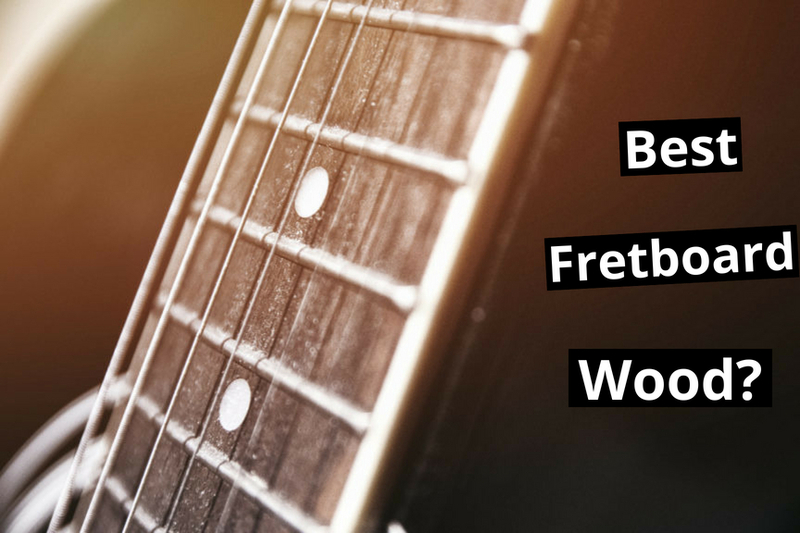 What’s The Best Fretboard Wood for Electric Guitars?